Dating After Divorce: 4 Ways Of Doing It Right...Mom Style! Dating After Divorce: 4 Ways To Do It Right…Mom Style! I saw this post the other day and literally laughed out loud. I laugh because I can seriously relate. I was just telling my friends that I feel like such a “mom” when I go out with them. Some are younger, never been married, and have no kids. And when they are ready to go out at 10:00 p.m., I am seriously ready to go party it up in snooze town with my pillow. Sweatpants, chick flick, and bed by 9 p.m.? Can I get an amen?! As a mom, our priorities change and what we view as a fun time. I LOVE spending time with my kids and love being their mom! We are always on the go and enjoying activities tailored to their interests. But when they go to their dad’s, I am on my own, and I do enjoy an occasional night out. 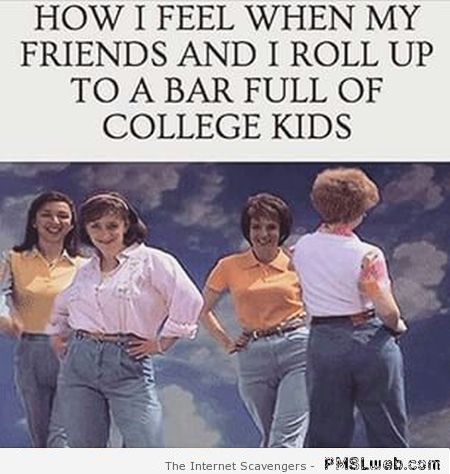 No, I don’t waltz up in a bar in my mom jeans, but I do feel a little out of place compared to the 21-year-olds with the pre-pregnancy hips and mini skirts. Moms, we’ve been there. It is hard not to feel that we stick out like a sore thumb when most of the people in the bar look like they are barely old enough to drink. And the struggle is real when I go to grab lip gloss out of my purse and come across baby wipes, hand sanitizer, Thomas The Train, and the occasional animal cracker (I suppose my son thought I’d need a snack later). I do well if I don’t have Mickey Mouse stickers stuck to my boots. Yep, I’m a momma. Yeah, I’ve been out and I have had fun. I may be 30, but the bar/club scene is just not my thing. And I know I won’t meet anyone by staying at home in my sweatpants…so moms, where do we go to meet new people? 1. Online Dating: Oh boy, the good ole World Wide Web! Online dating after divorce didn’t work for me, but it does work for many! If you’re prepared to wade through the creepers and mirror selfies, you might just snag a good catch! 2. Friends of Friends: Perhaps your best friend’s cousin’s brother is single? If you have a good circle of friends, that is always a good way of meeting new people. And your friends can let you know immediately whether or not the guy is a complete d-bag or worth your time. 3. Professional Networking: Career-oriented? You may just find someone in the same social circle. Business After Hours, conferences, professional development courses, etc. are always a great way of meeting new people. If you happen to meet someone that way, at least you know they are just as ambitious and professionally driven as you! 4. Extracurricular Activities: Cross-fit, gym, running group, art class, book club, you name it. You may just meet someone who shares the same hobbies and interests! Who would like a running partner? *Raises hand* I would! I would! So, we are divorced, we are moms, and we are busy. But we can still get out there and begin dating after divorce! I am so proud to be a mom and wouldn’t change it for the world! I know when it comes to dating, things will work out when the time is right. In the meantime, I’ll enjoy my friends and family, the occasional night out, and my sweatpants. Sweatpants are awesome. Can I get an amen? !